Charge Coupled Devices (CCDs) are the workhorse of observational astronomy. These chips are commonly used as imaging detectors in telescopes, but they have wide applications from spectroscopy to drug discovery. While this mass-production technology is tried, tested, and true, science groups are always trying to improve the performance. This paper presents results from Skipper CCDs recently developed at Berkeley Labs which feature exceptionally low readout noise, making them perfect for dark matter searches. In essence CCDs convert photon counts to electron counts that are read as a current signal. When a photon strikes the chip it frees an electron that is then held in the local pixel. As more photons hit the chip the electrons accumulate with brighter pixels building up more charge. To read this ‘image’ an electric potential difference is applied across adjacent bins moving the charge across the face of the chip. At the edges this moving charge is read as a current that electronics can amplify and store. 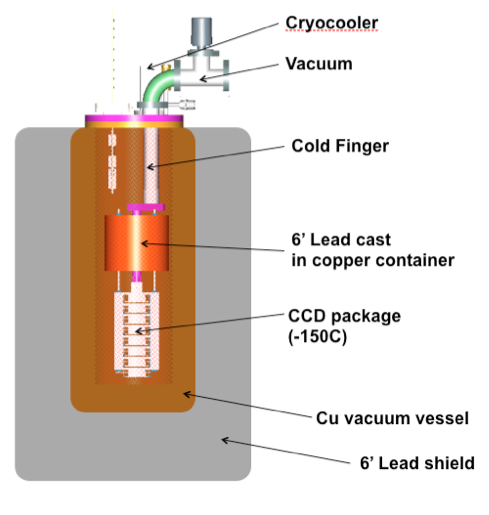 This description of CCDs barely scratches the surface of how these important devices operate. The bottom of this post links to a few resources where you can learn more. To detect a weak signal your instrument must be very quiet – electrical noise introduced by reading out the data can easily swamp out the detection. This “readout noise” (RN) has multiple sources in the electronics, but reducing the RN is key for specialized science applications. The Skipper CCD was first developed in the 1940’s and reduces the RN by sampling a pixel multiple times. By averaging many individual measurements the RN has a square root reduction – for example if a pixel is sampled 100 times then the RN is reduced by a factor of 10. Such a simple but powerful method enables these detectors to reduce their RN below 1/f noise limits. The key aspect of Skipper CCDs is that a single pixel measurement hardly disturbs the charge. This ensures that each measurement is independent. In theory this averaging method has no limit in the noise reduction except that each measurement depletes the pixel charge. Ultimately the ensemble average will no longer be correct (an unbiased estimator). 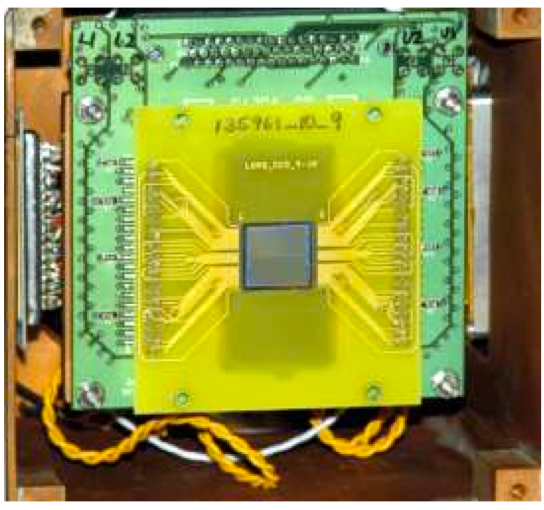 This particular detector is composed of 1022 by 1024 pixels 15 microns wide. For an array of pixels and multiple measurements, a single pixel readout is orchestrated by 3 clocks, two of which drive a single measurement and the third which resets the pixel. Further complications arise from the fact that signal processing is an inherently band-limited process so for a given number of pixel measurements you must choose an appropriate integration time. The unsurprising consequence is that more RN reduction requires a longer readout time. However, by carefully setting up the CCD, the authors show how the RN can be reduced until white noise is the main contributor (see figure below). 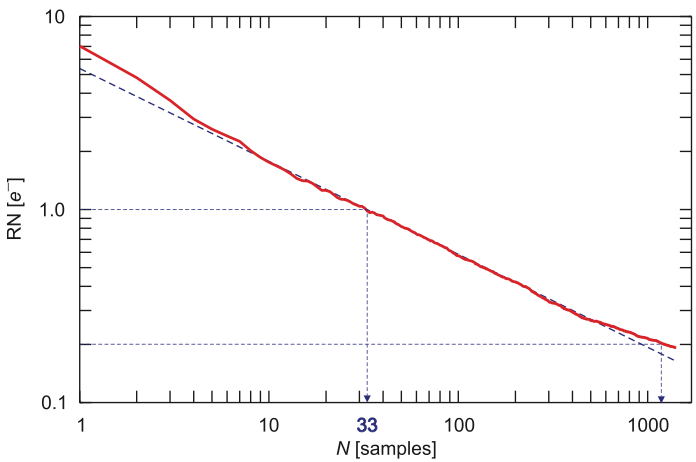 Readout noise (RN) as a function of the number of averaged samples (N). The dashed line shows the theoretical white noise fit. Looking for Dark Matter that is Light How to use DNA to search for dark matter The search for WIMP annihilation in the Sun A classic paper: how did the largest scale structure in the Universe form?